Hey everyone! 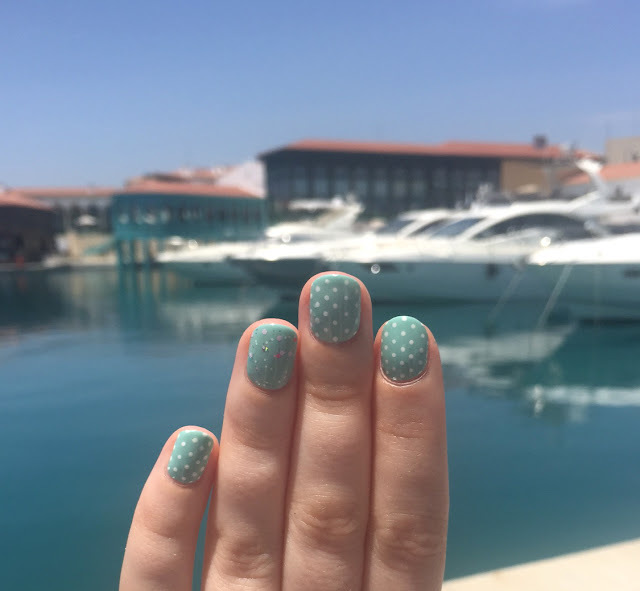 So last year when I went to Italy I did a post titled 'Nails on Tour' where I posted pictures of my nails in front of all the things I got up to on holiday. 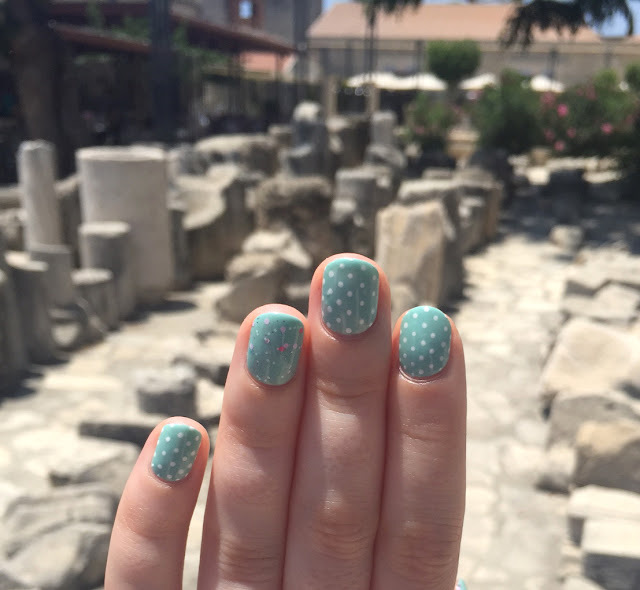 It's one of my favourite posts to look back on as I have some really great memories from that holiday, so I wanted to do the same this year when I went to Cyprus. Last year me and my friend did lots of touristy things and adventuring, but this year me and my boyfriend did a bit more relaxing than exploring. I did however still manage to take a few photos to show you. I had such an amazing time with perfect weather, the post-holiday blues are definitely bad this year! If you're looking for a hotel to stay at I'd 100% recommend the Atlantica Oasis in Limassol. It took us so long to choose a hotel, but we definitely made the perfect choice. It's family-friendly so there are lots of children but as a couple we still had an amazing time. This was our first experience of all inclusive, so we did a lot of eating, and all the food was gorgeous. I pigged out on pancakes all week because they were unlimited and it was brilliant! On my nails I'm wearing Gelish - Postcards From Paris*, with an accent nail of Gelish - Escar-go To France*, both of which are from the new Ooh La La collection. 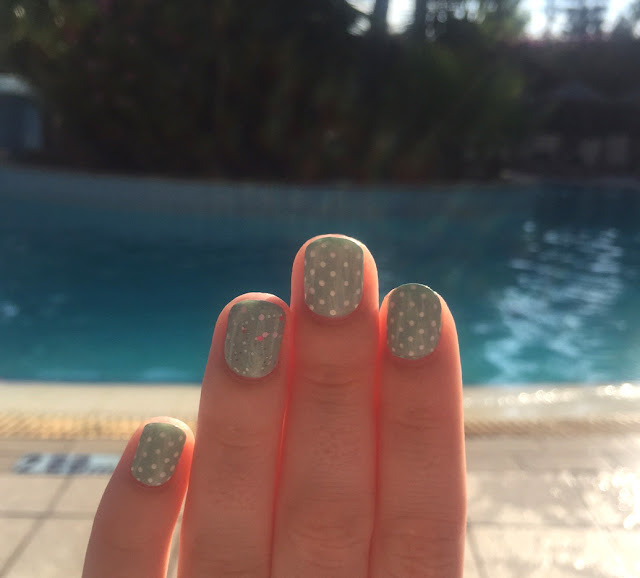 You might remember the glitter from my Monthly Favourites, and it certainly didn't disappoint on holiday! I'll do a full post on the nails separately. Read more after the jump. 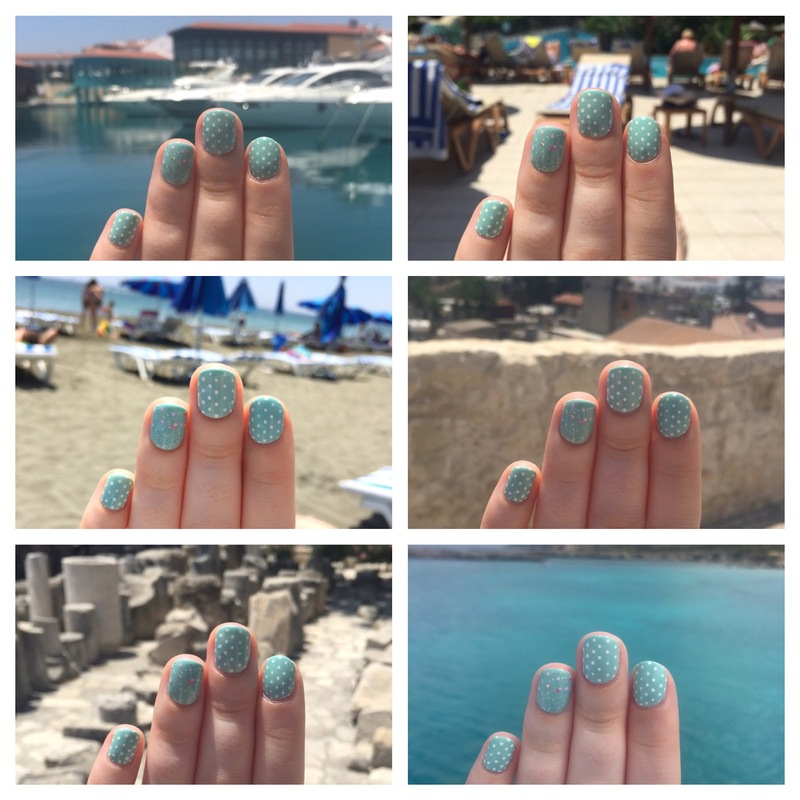 On the first day we decided to take a walk through Limassol and see if we could find a public beach. We were right next to the beach in our hotel but a lot of them are private so we went to have a look. We later found out there was one right opposite the hotel and we didn't need to walk for 30 minutes, but I liked the beach we did find. We stayed there for a few hours sunbathing and reading. Unfortunately my boyfriend got really bad sunburn (having teased me for applying too much suncream - karma) so I don't think he has good memories of this beach, but I really liked it. On the Wednesday we decided to go visit the Limassol Marina on the recommendation of our rep. It's newly built and contains lots of English/American restaurants like Cafe Nero, TGI Fridays, Wagamamas, so there was a taste of home as well as a taste of Cyprus. We didn't go to any of the restaurants as we didn't see the point in spending money on food when we didn't have to pay at the hotel, but we did explore the marina and it was absolutely beautiful. I'd love to be able to afford a huge yacht but I think it's unlikely! After the Marina we walked into Limassol to visit the castle, and in the grounds there were lots of old ruins and archaeological finds, alongside beautiful gardens. This was taken from the roof of the castle, with an amazing view of Limassol. I should have done a panoramic shot but I just didn't think it would do it justice! Thursday was spent relaxing by the pool and trying to get a tan. Which was unachievable for a vampire like me but my boyfriend managed to tan a bit, and it was nice to just relax and read a book (or two, or three). 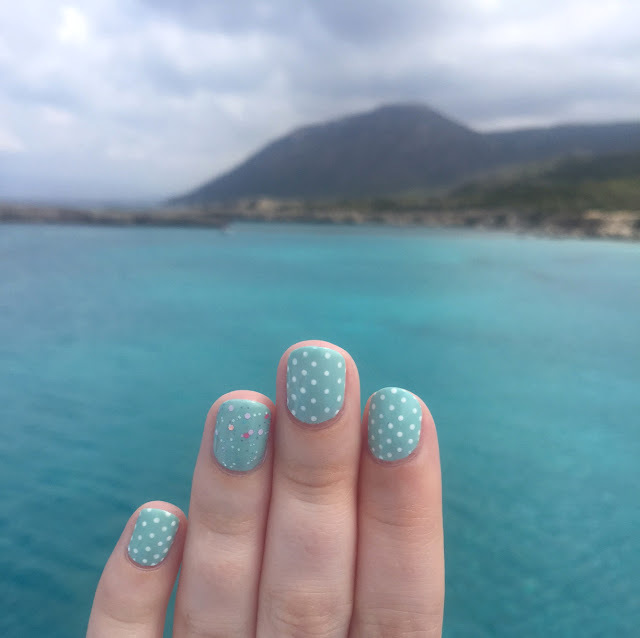 On the Friday we decided that we'd do one of Thomson's trips, so we went on the 'Noah's Ark' trip, which is a full day, with half a day at Paphos Zoo and half a day on a boat trip to the Blue Lagoon. This was unfortunately the only cloudy day of our trip, although it was still warm and the sun did make appearances. I stupidly forgot to take pictures at the zoo with my nails, but I managed to get a picture of the beautiful Blue Lagoon, taken from the side of the boat. We went for a quick swim, but I'm not a particularly strong swimmer so I wasn't good at treading water and we didn't stay in it long! On our final full day we had another lovely day of relaxing by the pool. We stayed almost until sunset and it was such a perfect end to the holiday. I'd definitely visit Cyprus again, but I'd probably stay in another part of the island to give us somewhere else to explore. I've already been looking at further holidays, but I doubt I'll be able to afford it for a while as I'm trying to save up to move out. I can dream though! 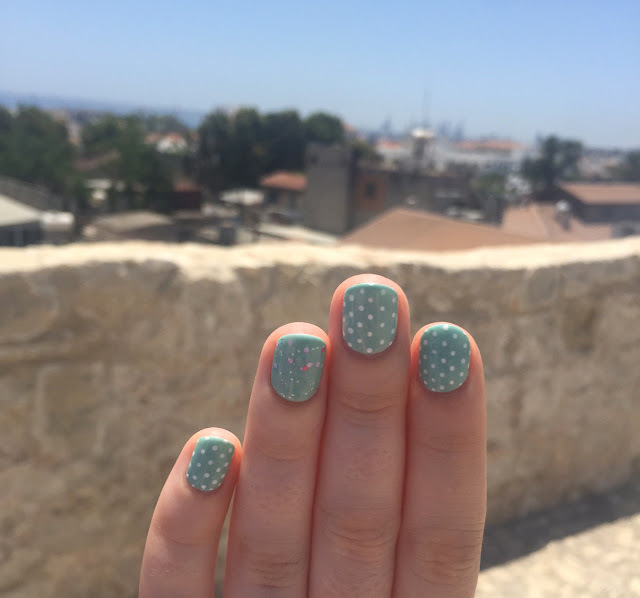 What do you think of the nails? Have you ever been to Cyprus? Let me know in the comments! Cute post! Love the nail art. Cute pictures! 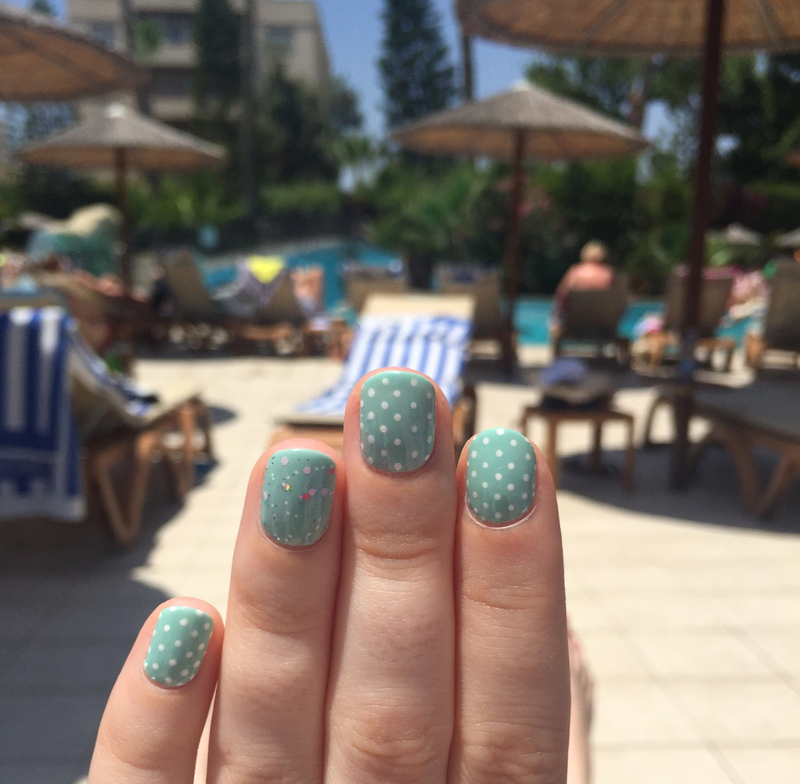 I like your Nails on Holiday "series." Maybe someday, you'll take a train holiday and you can call it, "Nails on Rails." ;) Glad you had fun. 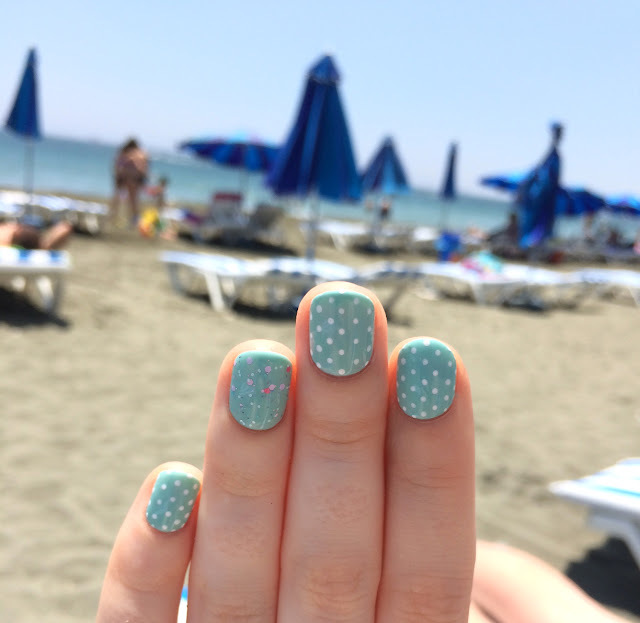 I love cyprus =] and your nails are so cute.